TURIN -- Ferrari will not compete with brands such as Porsche or Bentley, said Sergio Marchionne, CEO of Ferrari owner Fiat. Instead Fiat's Maserati brand will launch new models that will make it a stronger challenger in the luxury sports car segment, he said. "Ferrari doesn't play with Bentley and with Porsche, it plays in its own box," Marchionne told Automotive News Europe in an interview. Marchionne ruled out Ferrari developing a luxury SUV to compete with the highly successful Porsche Cayenne and an upcoming SUV from Bentley. He also said Ferrari would not launch a four-door car to rival the Aston Martin Rapide. Ferrari's growth will be limited to annual sales of 10,000 in the mid-term, rising from a record 7,000 expected this year, Marchionne said. Last year, Ferrari sold 6,573 cars globally. Annual sales of 15,000 would be ''dangerous'' for Ferrari. Fiat's priority is to maintain the integrity of the brand, Marchionne said. "It's absolutely crucial. The uniqueness of that brand cannot be minimized and so we are very, very careful." 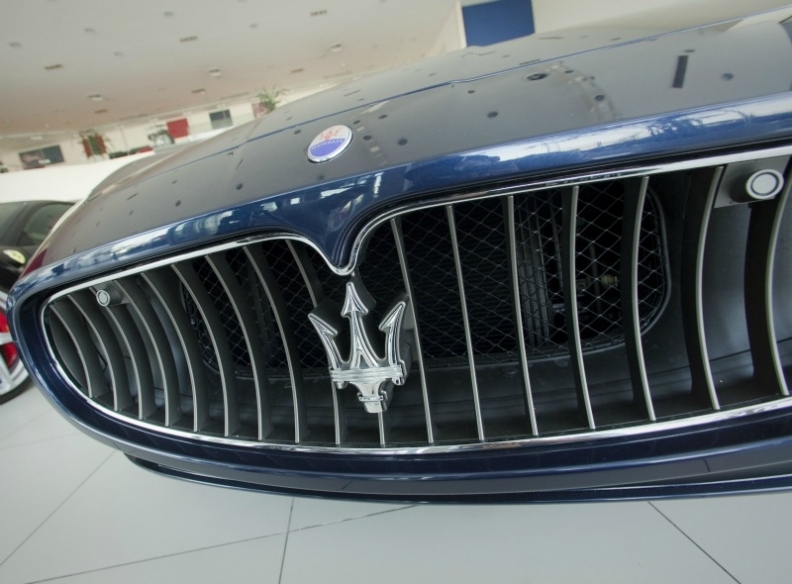 Marchionne said Maserati will challenge Bentley and Porsche. "We have invested as heavily as we have in Maserati because this brand has all the elements of the proper DNA to play in that fight,'' he said. Marchionne aims to boost Maserati's annual sales tenfold to about 55,000-60,000 units from 5,675 last year, with two new sedans and a new SUV that was previewed at the Frankfurt auto show in September. The two sporty four-door sedans, one slightly smaller and one slightly bigger than the current Quattroporte flagship, will be the main drivers for Maserati's growth. They will be introduced in the next two years. "The two sedans are being industrialized and they are great, trust me," Marchionne said. The smaller model will offer the company's first diesel engine and a V-6 gasoline unit. The larger model will have a Ferrari-built V-8 gasoline engine. The two cars, together with the GranTurismo coupe and GrandCabrio convertible niche models, will boost Maserati's annual production to about 45,000 units by 2014. The SUV will be a production version of the Kubang concept unveiled in Frankfurt with a different name and will generate another 10,000 to 15,000 annual sales. It is due to go into production in 2013.